Instrument for measuring the angle of magnetic dip. 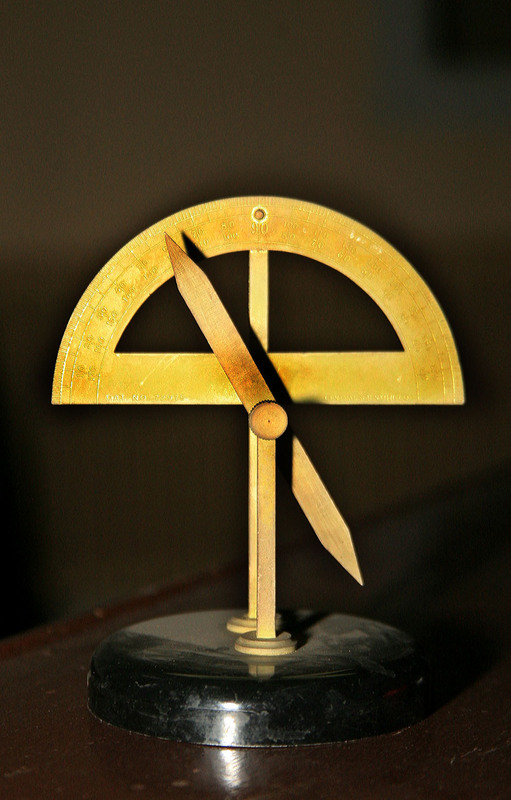 Consists of a magnetic needle, 10.5 cm long mounted on a horizontal pivot in a brass frame with a graduated arc. CENCO No 78425.